Located about an hour from Seadar Inn by the Sea, Provincetown is a bastion of beautiful beaches, colorful people, and shopping and dining. If you’ll be on Cape Cod for a few days, plan on spending one of them in this world-famous art colony. A Dolphin Fleet whale watching boat heading out of Provincetown Harbor. Whale Watching: Provincetown is the whale watching capitol of the world. The Dolphin Fleet’s boats sail at regular intervals all day long from mid-April through October; cruises last three to four hours. 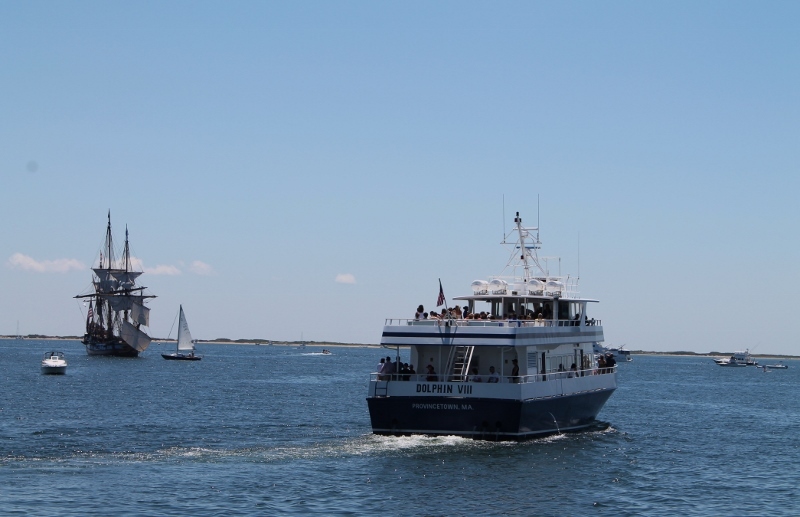 The sail out of Provincetown Harbor, with views of Pilgrim Monument and working lighthouses, alone is worth the price of admission. Getting to see humpback and minke whales frolicking in the sea is absolutely priceless. The curious creatures will often swim so close to the boats that you may get a little wet when they breach. 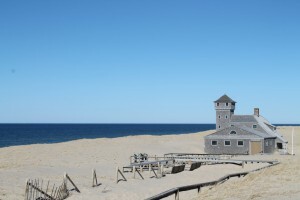 Old Harbor Lifesaving Station at Cape Cod National Seashore. 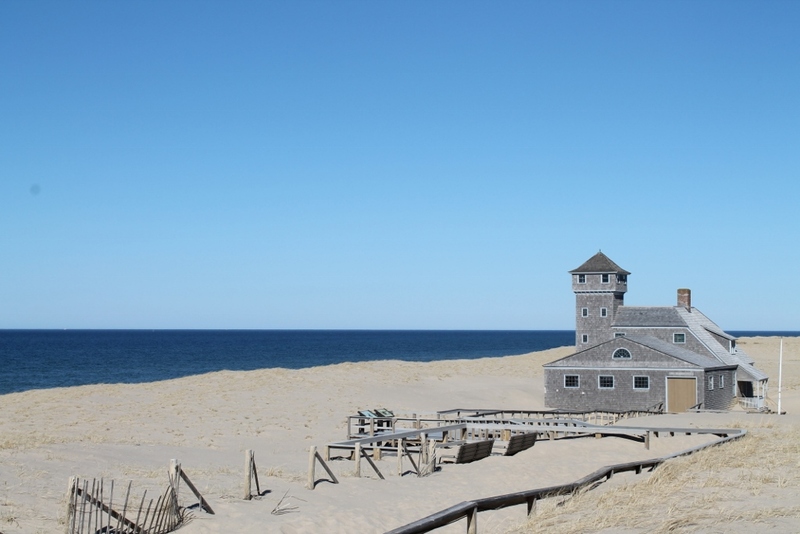 Cape Cod National Seashore spans 44K acres across five Cape towns and Provincetown is home to some great options. There are the beaches, of course! You’ll find ample parking at both Race Point and Herring Cove beaches. Check out the observation deck at the Province Lands Visitor Center for stellar 360-degree views. In the evening, grab a parking spot (no charge!) at Herring Cove Beach, one of the best places on the Cape to watch a sunset. While you’re there, sample Far Land on the Beach’s take on beach shack food. Ahi tuna burgers? Okay; sure! There’s also a great bike path that winds through the dunes. 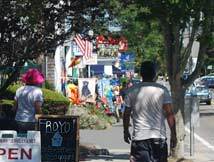 One of the best ways to see Commercial Street and downtown Provincetown is on a Ptown Pedicab. Hail one of the popsicle-colored ‘chariots of hire’ as you would a cab – they’re tooling around town all summer – hop on and enjoy the ride. For about a buck a minute, you’re treated to an up-close-and-personal tour of the entire town. 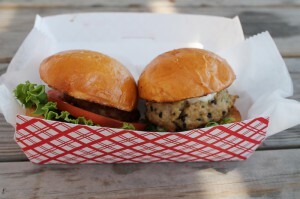 Ahi tuna burgers from Far Land on the Beach. 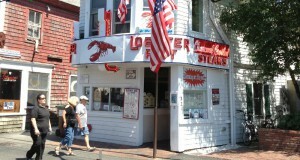 The Lobster Pot is a Provincetown Institution. upscale waterfront eatery, the Red Inn is perfect and, if you’re in the mood for Italian food, Front Street and Ciro & Sal’s will not disappoint.